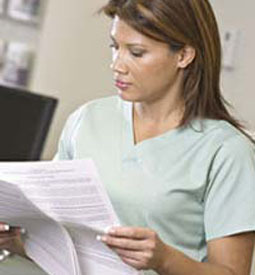 Earn your Certificate in Health Information Management. This program provides skills needed to securely and professionally manage health care records. You’ll learn organization, record storage, effective communication methods, and ethical and legal rules concerning the confidentiality of health information as covered in the Health Insurance Portability and Accountability Act (HIPAA). or improve your office performance.